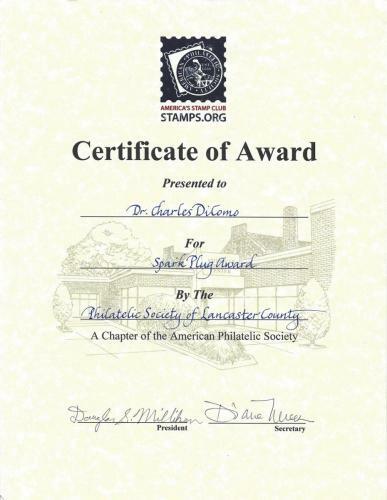 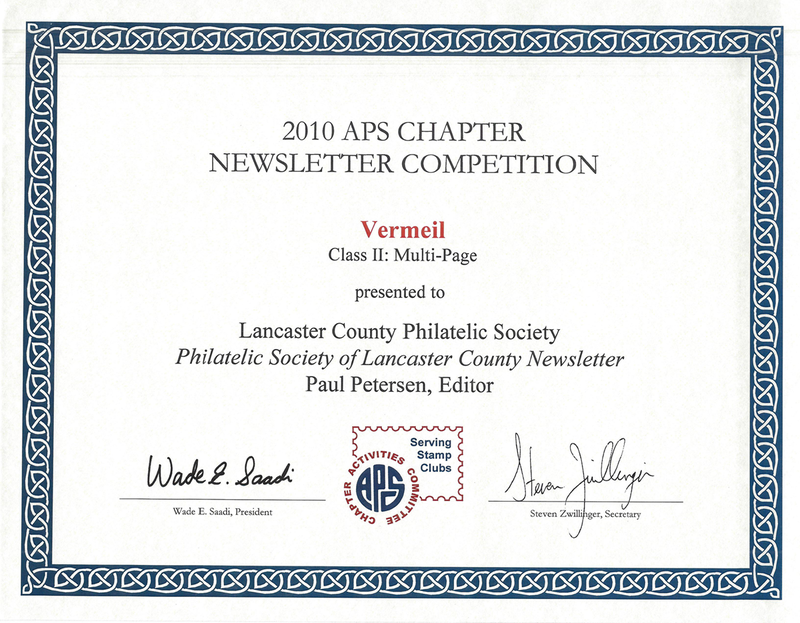 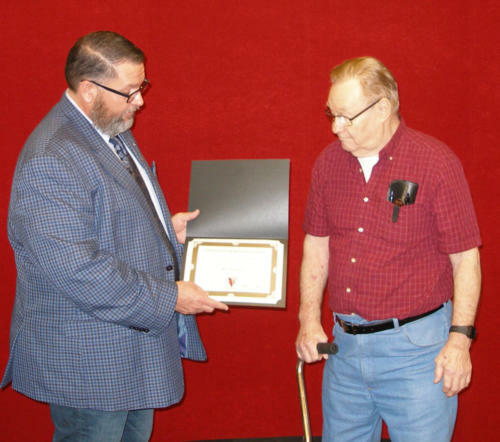 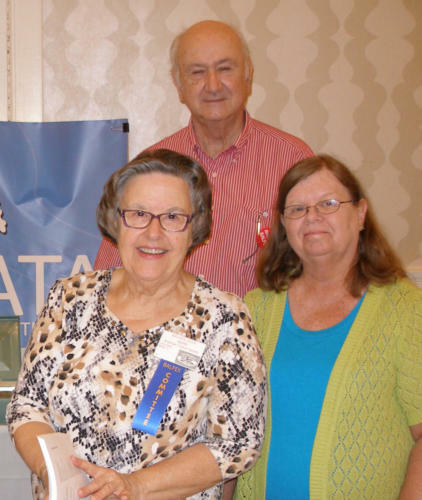 This page recognizes our Members and friends who have over the years received Awards and/or Honors for their dedication, commitment, authorship and leadership to the mission of the Philatelic Society of Lancaster County and philately in general. 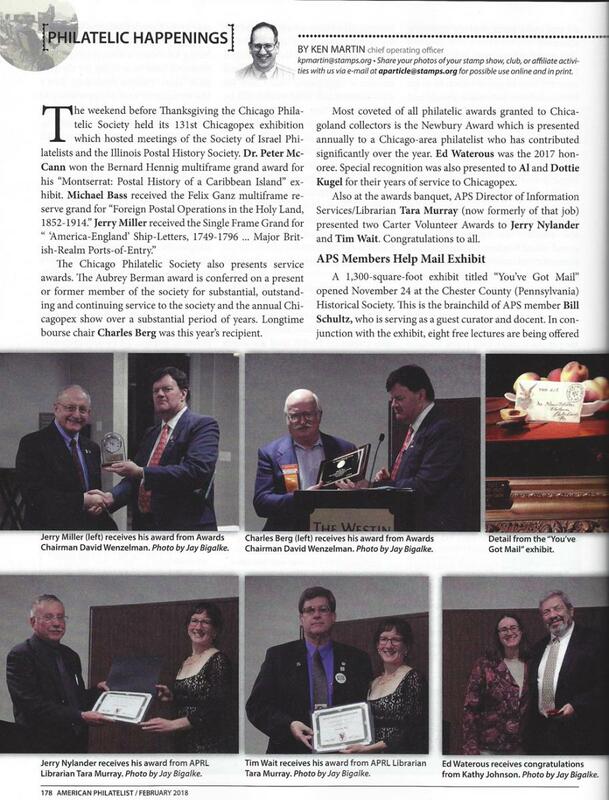 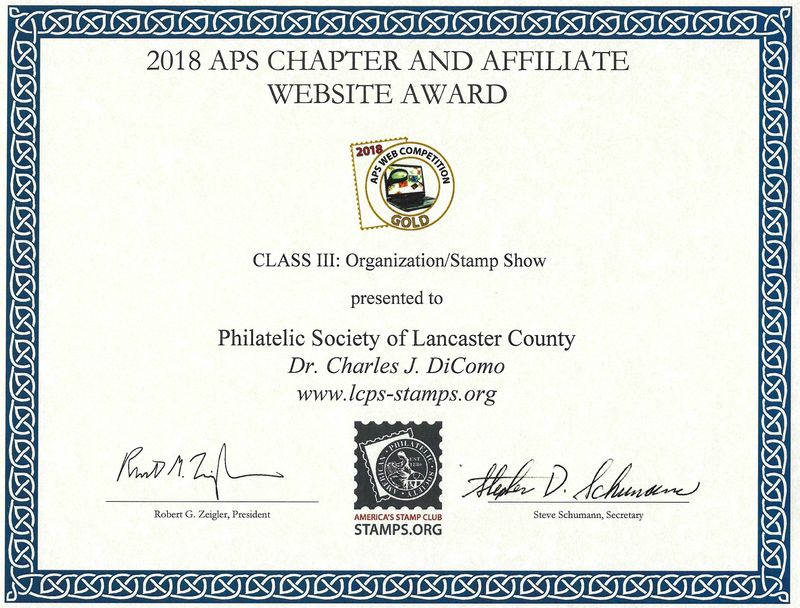 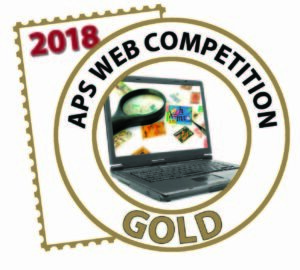 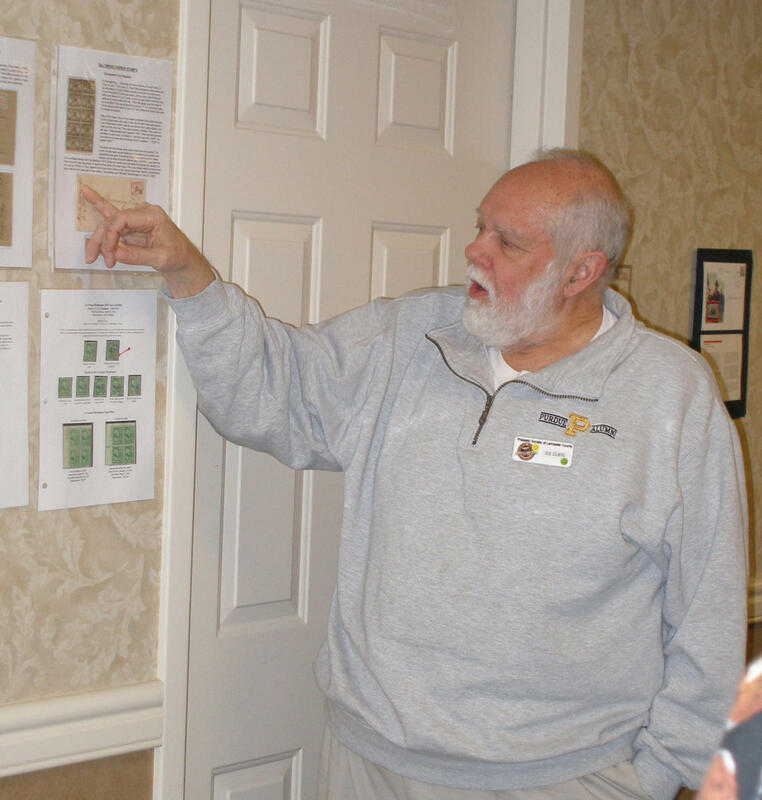 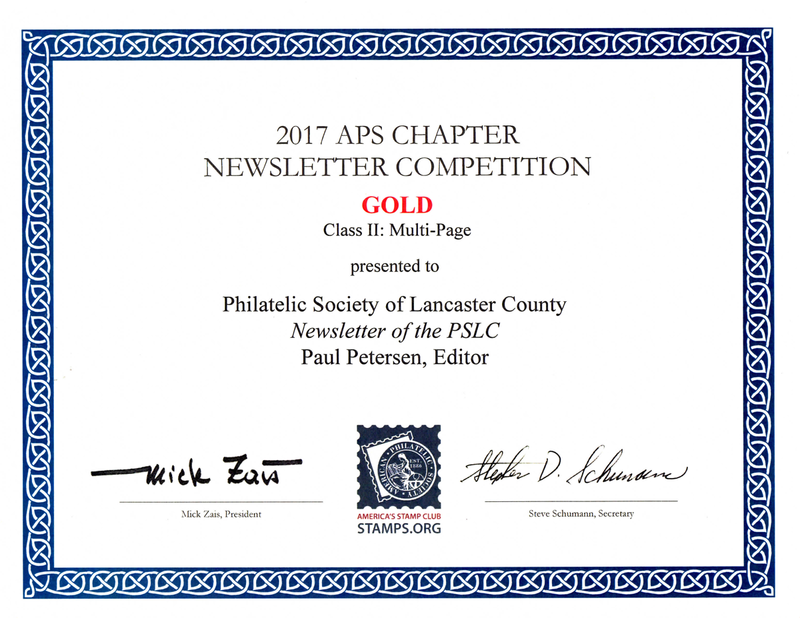 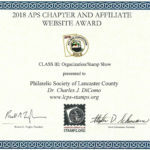 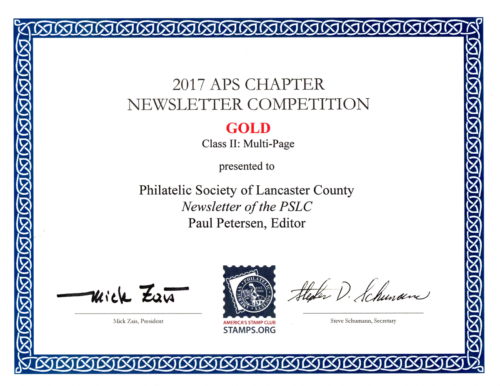 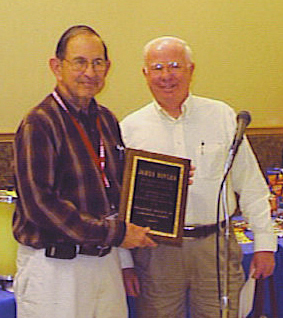 The January 7, 2019 Issue of Linn’s Stamp News contained an article by William F. Sharpe in the Computers and Stamps section announcing the winners in the APS philatelic website competition. 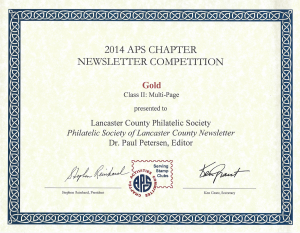 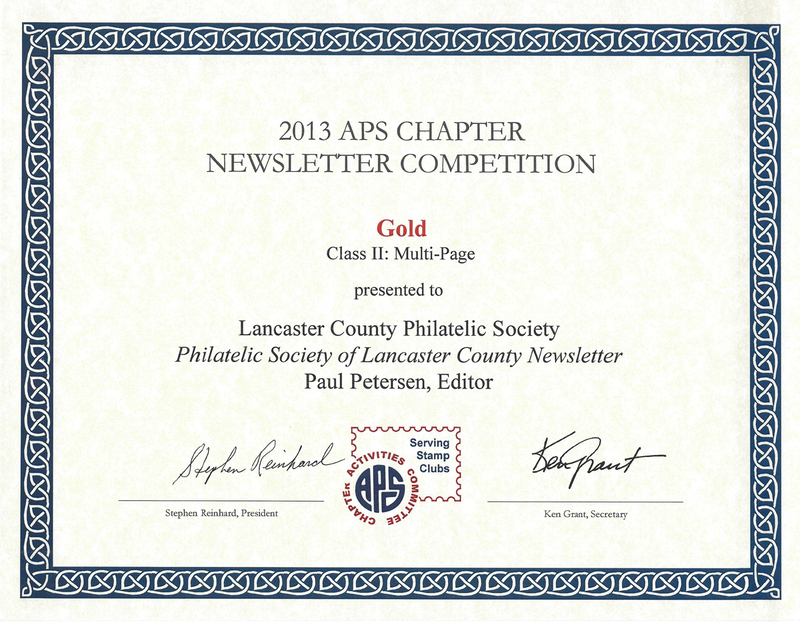 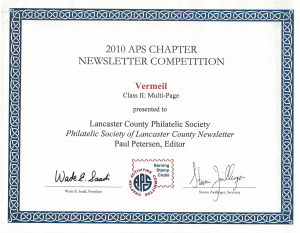 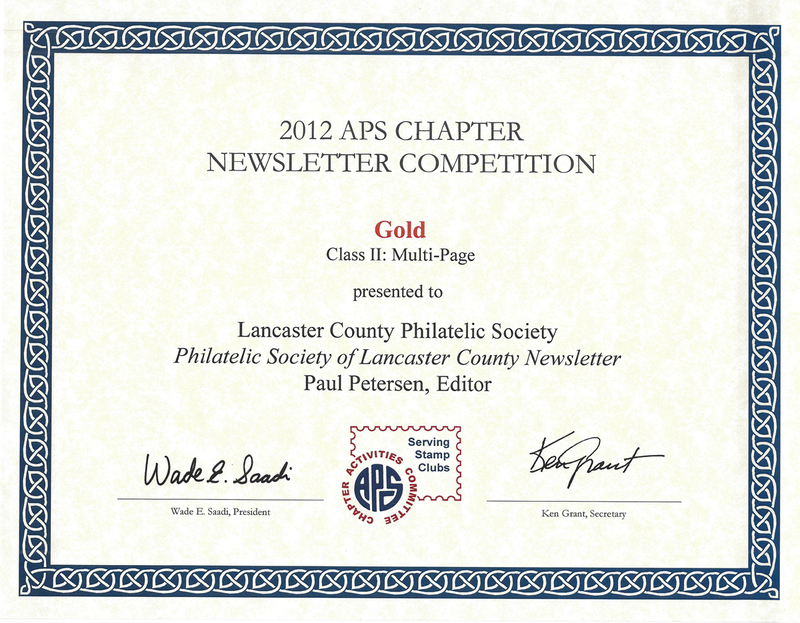 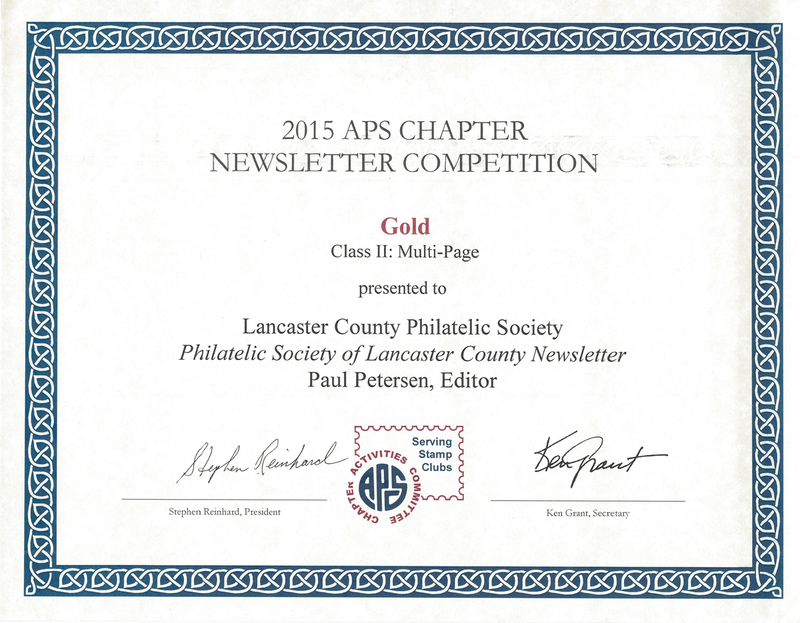 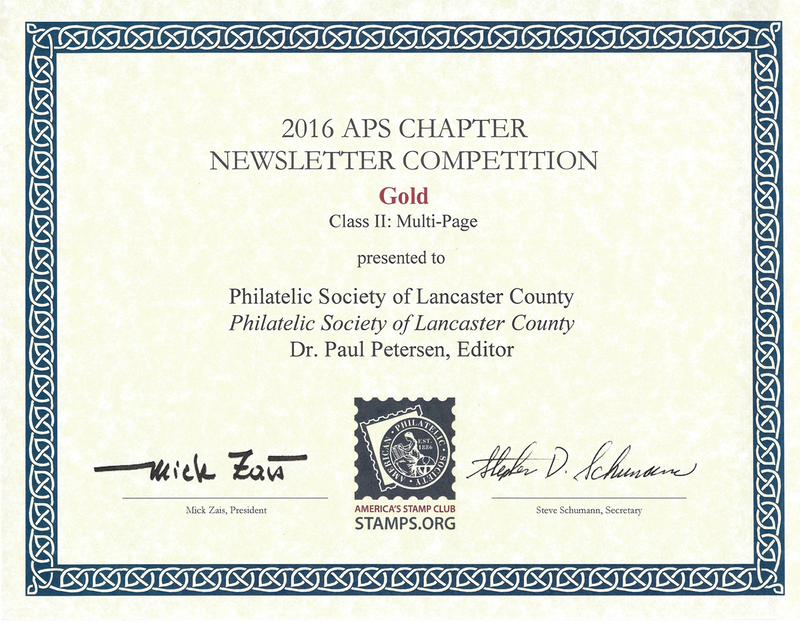 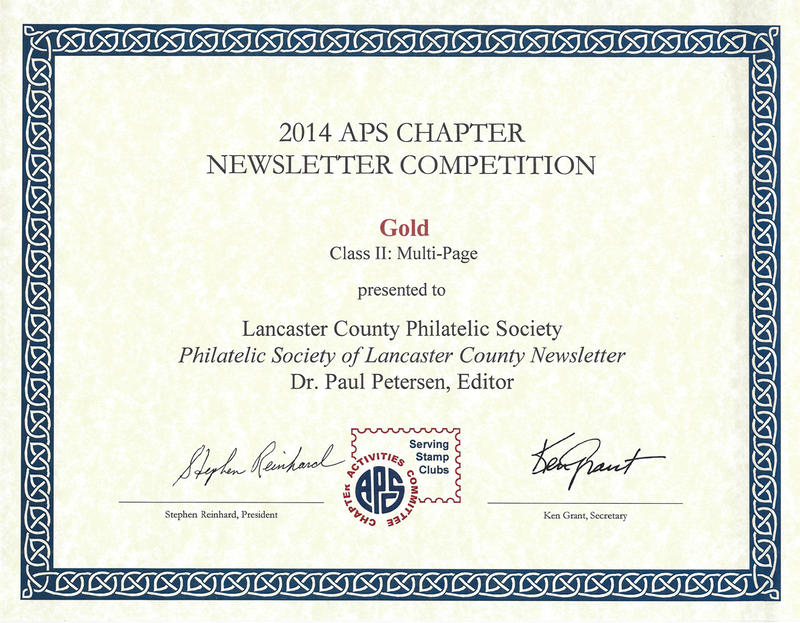 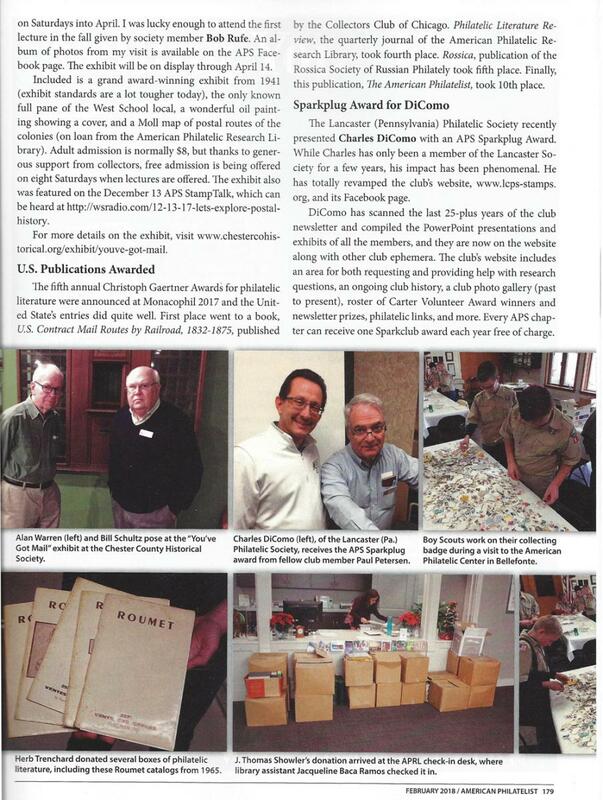 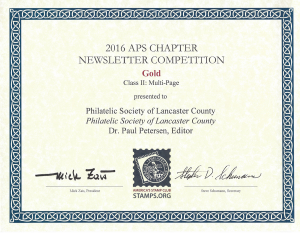 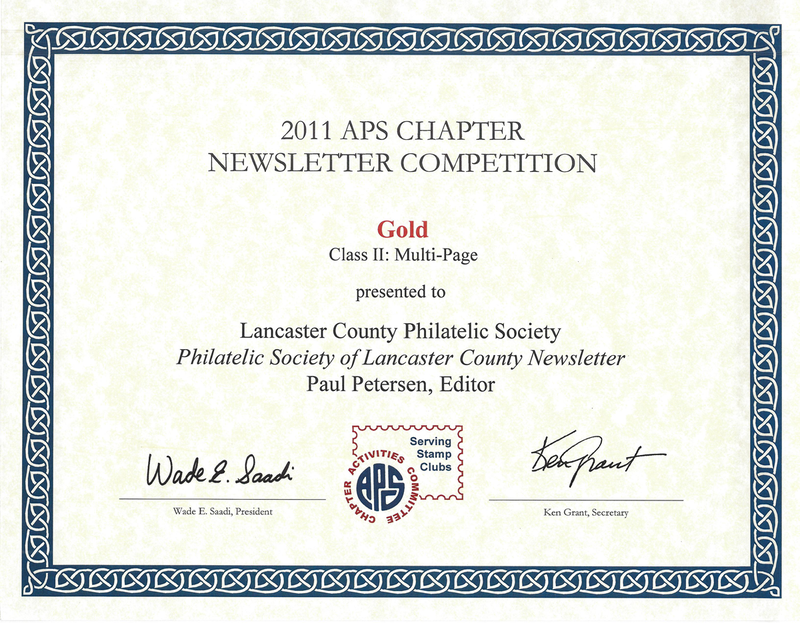 The Philatelic Society of Lancaster County was prominently featured and we thank Bill for this. 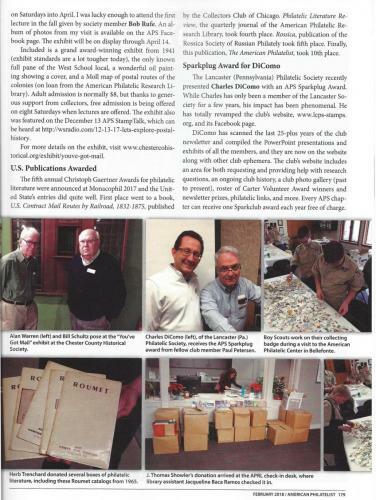 The entire article is below as a PDF. Enjoy!